It’s happening all around the world: train stations, shopping malls, and local governments have found themselves forced to turn to classical music in their efforts to keep loiterers at bay. 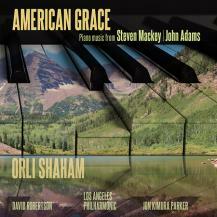 As the Los Angeles Times reports, “Whether it’s Handel piped into New York’s Port Authority or Tchaikovsky at a public library in London, the sound of classical music is apparently so repellent to teenagers that it sends them scurrying away like frightened mice.” When Gil Shaham – hailed by Time magazine as “the outstanding American violinist of his generation” – heard the news he combed the catalog of his recording label, Canary Classics, to create Music to Drive Away Loiterers, the perfect compilation to deter anyone! A timely release in the U.S. on April 1. 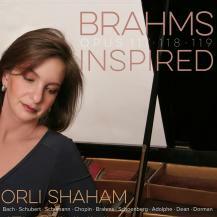 Pianist Orli Shaham has established an impressive international reputation as one of today’s most gifted soloists and is in demand for her prodigious skills and admired for her interpretations of both standard and modern repertoire. 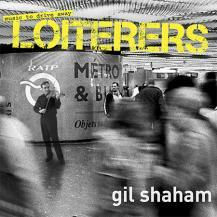 Jewish folk music has always played an integral part in Gil and Orli Shahams’ lives. 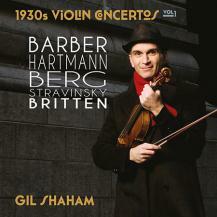 This release includes masterpieces by Ernest Bloch, Joseph Achron, and Leo Zeitlin, and as their idiomatic writing for the violin suggests, they all started their musical lives as child prodigy violinists. 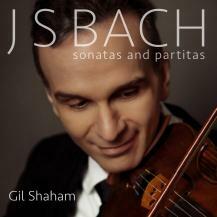 Also included is music from the wonderful Schindler’s List score by John Williams. 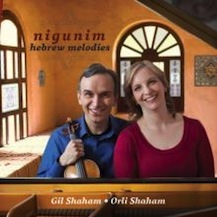 The center-piece of this release comes from the work sharing the album's title Nigunim, commissioned by Gil and Orli from Israeli composer Avner Dorman. This recording of Concertos by Sibelius and Australian composer Ross Edwards is the first solo release on Canary Classics for Adele Anthony. 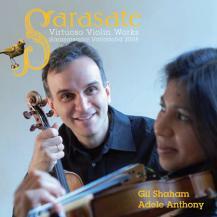 She has acclaimed recordings of Philip Glass' Violin Concerto (Naxos) and with her husband Gil Shaham Arvo Pärt's Tabula Rasa (Deutsche Grammophon), and Sarasate (Canary Classics). In 1983 at the age of 13, Adele was the youngest winner, and remains so to this day, of the Australian Broadcasting Corporation’s Instrumental and Vocal Competition performing the Sibelius Violin Concerto, and here offers a recording of a work she has lived with for over 25 years. She returns to her home city of Adelaide, Australia to make this recording with acclaimed Sibelian conductor Arvo Volmer. Adele brings a soulful femininity, richness, clarity and intensity of sound to her interpretation of the Sibelius concerto. 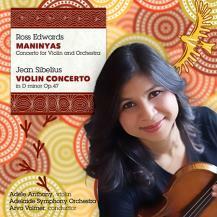 Of particular interest on this release is Ross Edwards' Violin Concerto, Maninyas. The original inspiration for Maninyas came from a Ballet commission from Houston Ballet created by Stanton Welch. This concerto contains a compelling hybrid of influences, the result deserving recognition as one of the great modern day violin concertos. The Maninyas Chorale (track 3 on the CD) is one of Ross' great compositional moments. 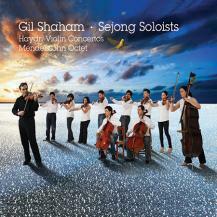 Gil Shaham and Sejong Soloists’ association extends well over a decade, the Haydn concerti and Mendelssohn Octet on this release benefiting from a US tour in April 2009 just prior to the recording sessions. Haydn and Mendelssohn may not be obvious bedfellows but there is considerable synergy in the composers and this repertoire. Both Haydn’s C major and G major concerti date from the 1760s, still very much in his self proclaimed, “extended youthful period”, together with the fresh and adventurous nature of the Octet, composed when Mendelssohn was still just a teenager. Haydn and Mendelssohn also shared a certain financial freedom that seemed to propel both to new heights of inspiration. 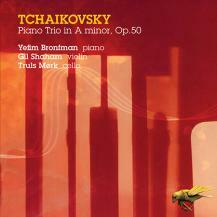 Tchaikovsky’s Piano Trio encompasses moods of gaiety, pathos and tragedy and, in the grand series of variations which form the second movement, that sense of bittersweet reminiscence of which the composer was so fond. Although he was, by his own admission, less than enamoured of this combination of instruments, Tchaikovsky created a work unique in scale and ambition, one that presents many special challenges to its performers. This is partly because of its origins as a pièce d’occasion, something which inevitably affected its scale and tone. Any musical premiere is fraught with tension, but the showcase of student compositions in Shanghai on 27 May 1959 was especially so. Backstage at the Lyceum, the city’s first western-style theatre, the composition student Chen Gang was nervously pacing the floor. 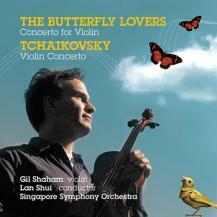 His co-creator of The Butterfly Lovers concerto, the violinist He Zhanhao, was playing in the student orchestra, his hands and mind at least occupied. The violin soloist Yu Lina took the stage, her hair cut so short that audiences would later find the player inextricable from the piece, whose narrative concerned a young girl passing herself off as a boy. concerto’s success was all over the radio. A handful of young, unsophisticated students quickly became national celebrities. Five years later, nearly everyone associated with the piece was in prison. 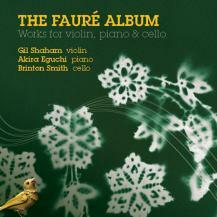 Fauré’s achievement was to invent musical forms chichi attracted our hears and senses without debasing them. He offered a homage to Beaty in which there was not only faith, but a discreet yet irresistible passion… Th delicate precision of his architecture, the concision (without dryness) of his ideas will long guide us in our moments of anxiety”. So wrote the composer Georges Auric in tribute to the subtle genius of Gabriel Fauré, a musician who had risen slowly from a modest background to become arguablythe founding father of French music in the twentieth century. 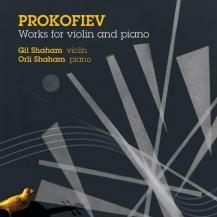 A busy virtuoso pianist, Sergei Prokofiev can be forgiven for producing considerably less music for violin the for piano. After all, he knew he could always find someone to play his piano pieces - himself. But persuading prominent violinists to play a new sonata or concerto is not always the easiest thing to do, especially for a young composer just starting out. For an irreverent “futurist” like Prokofiev, whose quirky personality and icon-smashing music tended to annoy and alarm members of the establishment, this was even more of a challenge. 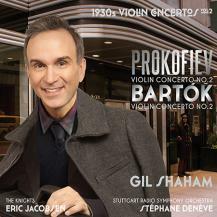 Even so, the small body of music Prokofiev did compose for violin ranks among the most provocative and appealing written since 1900.
keyboard and violin by Schuster, which I have often played here. They aren’t bad. If I stay on, I’ll write six myself in same style [gusto], which is very popular here.” Within this short passage we learn that Mozart played chamber music by other composers; that Mannheimers liked the so-called “accompanied sonatas” as well, because Mozart continued to play them there (Mannheim, 8 November, at Wendling’s: “I played three duets with violin accompaniment which I had never seen and the composer of which I had never even heard of”); that Mozart’s impetus in writing the pieces was to compete with, improve upon, and gain by the popularity of pieces by another composer. 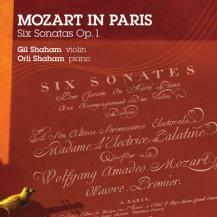 The genre had many devotees in Mannheim and especially Paris: the first pieces Mozart had published as a child were sonatas for keyboard with violin, in Paris, (Op.1, two sonatas), London (Op.2, two sonatas), and The Hague (Op.3, six sonatas) at ages eight, nine, and ten, respectively; then, content to leave the violin as simple accompaniment to the keyboard, he put the genre away for over a decade.